Contact Us Today for More Information On Our Manufacturer Warranty Programs. R.B.T Construction Roofing Division provides full manufacturer warranty support on the labor and material of each of our completed roof installations, an offer exclusive to authorized dealers. 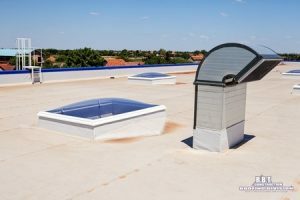 R.B.T Construction Roofing Division is an authorized dealer and installer of leading commercial and industrial roofing manufacturers including Duro-Last, Firestone Building Products, Owens Corning, and more. If you’d like to learn more about warranty information or our commercial roofing with R.B.T Construction Roofing Division in Texarkana, TX give us a call at 903-691-0931. With warranties ranging from 10 years to 20 years and cover materials and labor. In order to offer the manufacturer’s warranty coverage, a third party inspector must first evaluate our work. Only inspections graded 90 or above (out of 100) are issued warranty support. R.B.T Construction Roofing Division guarantees full warranty support with each roof we install, meaning all of our work is fully guaranteed by the manufacturers. Give us a call today at 903-691-0931 for more warranty information.